Bernards is a diverse commercial building and construction management firm based in Los Angeles. 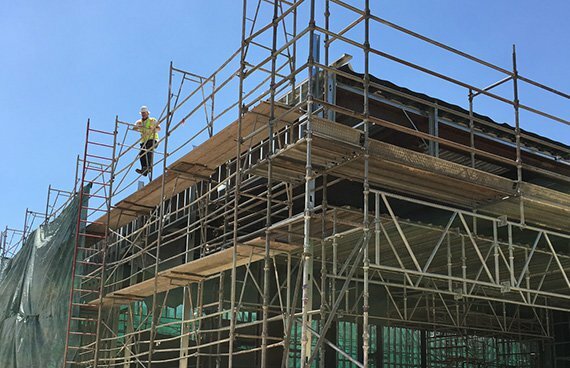 With over 40 years of honed construction and contracting experience, their steady growth and industry know-how has helped them build a healthy construction business poised to continue expanding. Bernards is now shepherding projects that often exceed $300 million in scale, and they are synonymous with integrity and quality throughout the Golden State. While multi-family residential housing has been their forte for years, Bernards is branching out into new territory. 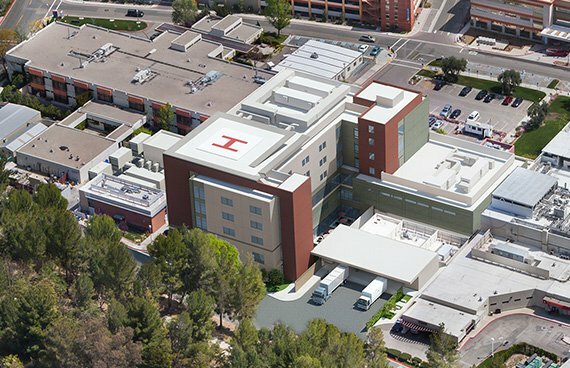 One of their most recent projects is the new patient tower for the Henry Mayo Newhall Hospital in Valencia, California. The tower, a six-story, 160,000 square foot addition, will be attached to the hospital’s existing trauma center and include a helipad on its roof. It’s an ambitious 2-year project with a complex set of necessities. Given its intended function as a patient care facility, the need for ironclad project management is clear to all involved. William Lopez, Assistant Project Manager at Bernards, knew that he would need to maximize his team’s efficiency in order to tackle one of his firm’s first healthcare projects. Having run into sore issues with other construction management software in the past, Bernards was looking for a new tool to help alleviate the weaknesses they had encountered in their previous options. Their VDC Director recommended trying out Fieldwire, and after taking the app for a spin, Lopez recognized the major potential he held in his hand. His chief aim with Fieldwire? Ensuring that his team always had complete, up-to-date plan sets with them throughout the day. Indeed, Fieldwire houses the entirety of the hospital project’s plans, and enables auto-syncing across platforms for every user whenever new versions are added or edits are made. The strength of the software goes beyond merely carrying drawings. Fieldwire also features an extensive array of markup tools that allow Lopez’s crew to make their edits on the fly wherever they go across the job site. Fieldwire’s markup tools include the means to highlight areas in a variety of colors, leave annotations, add attachments, create hyperlinks, and indicate points of interest on the plans with lines and shapes. These options allow Lopez’s team to keep their plans updated with current information at all times, and the version control system in Fieldwire ensures they always have the latest sheets right in front of them, but they can still access older versions for reference. Addtionally, the immediate benefit of not having to lug around rolls of paper drawings has certainly not gone unnoticed. As construction on the new hospital tower began, William Lopez and his team spread their wings with the features Fieldwire offered them. Adoption of the app came with significant ease and no hang-ups prevented them from getting comfortable with it. While the biggest plus for Lopez remains the plan management system, he also has his sights set on implementing more task-oriented uses, such as punch lists and issue tracking in terms of inspection requests. Lopez is confident he can leverage Fieldwire for these tasks in the same way that he has for his drawings, particularly given the speedy syncing system built into Fieldwire. The Bernards team also sees Fieldwire as a solution to the old, clumsy problem of meeting minutes. The ability to track project progression in a smooth, real-time task system provides a great visual representation for the tower schedule, and lets the team run through due dates and daily priorities in a much more streamlined flow. 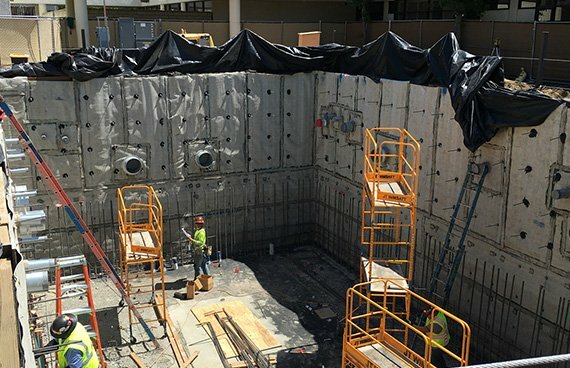 The receiving dock for the Henry Mayo Newhall Hospital’s new patient tower is well under way, with work on the central utility plant ramping up as well. Bernards is expanding their reputation for building quality structures, and this project will be their first statement to a wider pool of clientele going forward. As their efforts continue to produce high-grade results, their trust in Fieldwire also bears fruit on a daily basis. It continues to facilitate plan management for them, saving both time and money when it comes to the project’s scope. Fieldwire is helping Bernards focus on the job at hand and reducing their likelihood of getting bogged down in clunky managerial techniques. The app offers an intuitive user interface and efficient method of tracking progress while keeping your colleagues in the loop at the same time. For William Lopez and his team, it’s making a difference with each passing day.